Spike and Illyria. 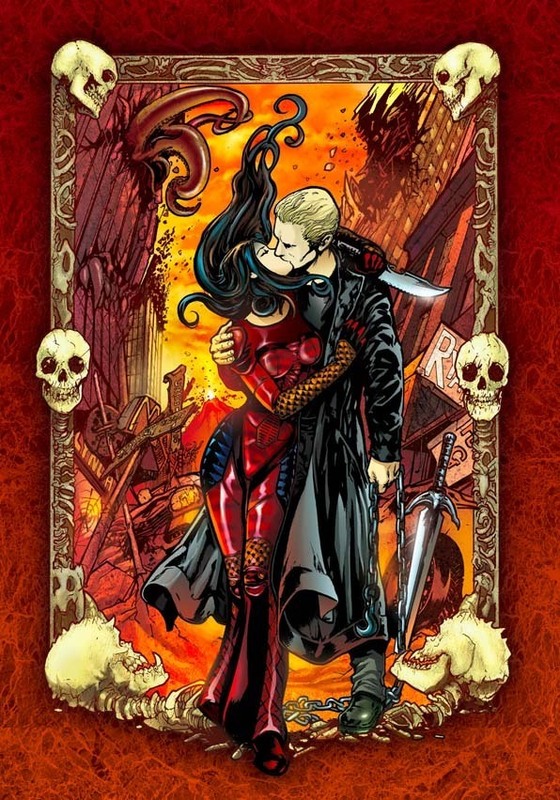 Spike and Illyria cover art - now with color!. HD Wallpaper and background images in the Buffyverse Comics club tagged: brian lynch spike illyria cover dark horse. You know, I wonder if they're under a spell or something? Something Blue - Part II? I love them both... but NOOOOO!